I am super, super excited to stop in today and share my first layout with you for the Crate Paper Design Team. I have to admit, when my Design Team box arrived, I took everything out, so I could look at every piece of the collections we received! And I was definitely excited to find out that my first assignment was creating with the new Bloom collection by Maggie Holmes. Everything about this collection is amazing, and it was so hard trying to decide what to start with. I wanted to incorporate my favorite go to patterns, colors and techniques, so I started with the Lizzy patterned paper as the background for my layout. Wood grain is one of my favorite patterns, and I love that you can use this pattern to create a subtle look in the background. I love finding ways to incorporate die cuts on my layouts, so I used my Silhouette Cameo to cut various sized circles to create frames on my layout. 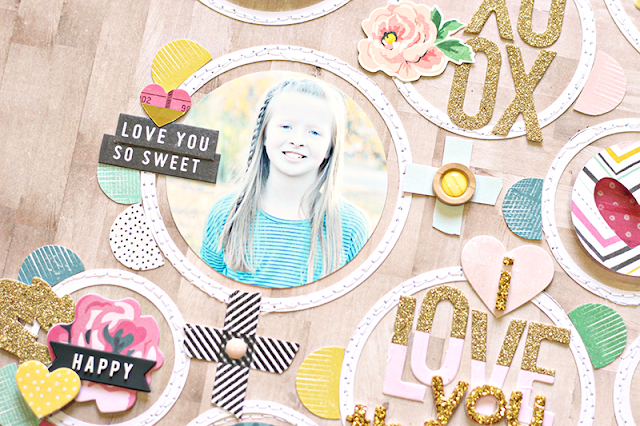 I wanted to create a soft look on the layout, and the circles were perfect for creating frames for my photo, title and embellishments. I alternated the embellishments on my layout, to vary the texture, color and dimension. 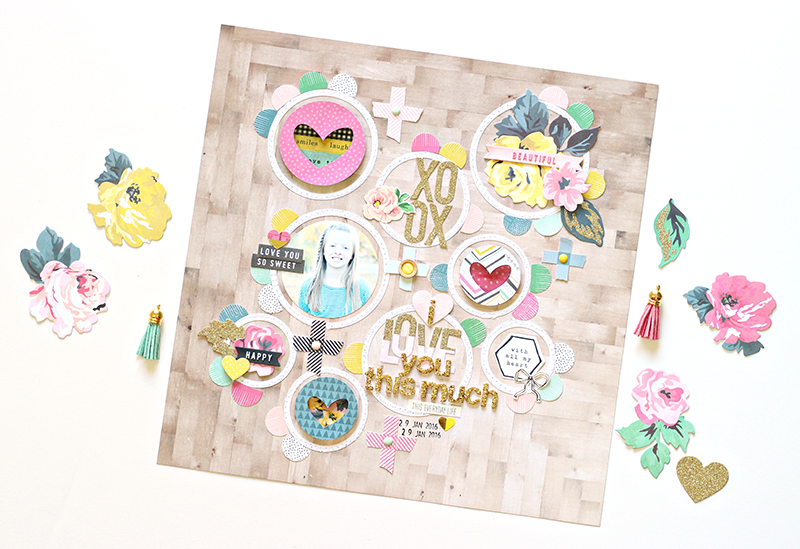 The Ephemera Pack with the Bloom collection, gave me lots of options for embellishing my layout. 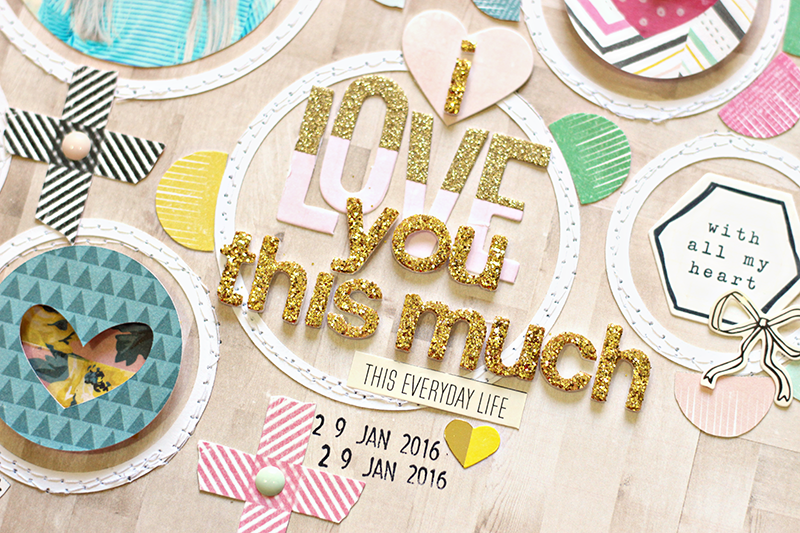 I love the die cut flowers included in the pack and placed several of them around the layout. 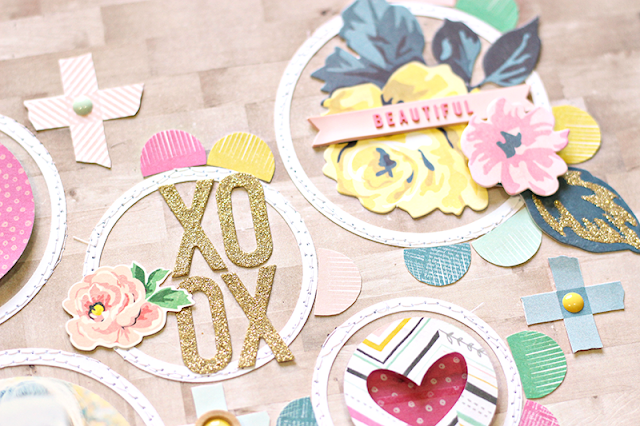 I also incorporated fussy cutting, to add the fun scalloped circle shapes around the die cut circles. And the plus symbols were fussy cut from the Blossom patterned paper and placed in a few of the open spaces on the layout. I'm looking forward to sharing more inspiration with you, over the next year! 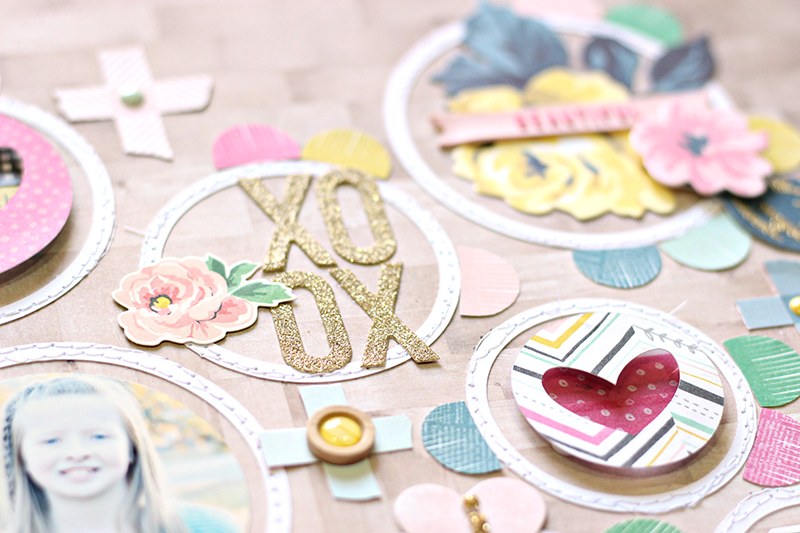 Keep an eye out on my Blog and the Crate Paper Blog for what's to come!